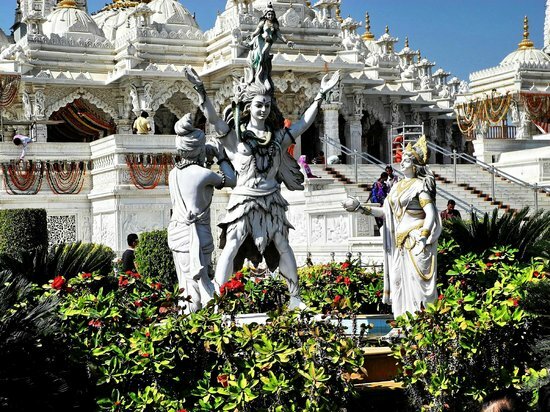 This Tripadvisor link shows idols of Lord Shiva & Goddess Parvati used as landscaping at a Swaminarayan Temple. A revered God to hundreds of millions of Hindus has been put out there in the elements to be defecated on by pigeons. Shouldn't idols of Gods be kept inside temple premises? Surely, Agama shastras have something to say about this. Browse other questions tagged shiva temple agamas idols . Do Agama shastras say anything about how small/big temples can be?